2095 - Photo: Keith Long. 2094 - Photo: Keith Long. 2093 - Photo: Keith Long. ...55003 (D9003) "MELD" gets the Chesterfield - Carlisle excursion away from Barnsley on the 23rd July 1978. 23/07/78 - 1Zxx Chesterfield - Carlisle, to Carnforth "Merrymaker" (via Sheffield, Barnsley & Settle Jn - 84003 fwd) Deltics at Work: Page 117. 23/07/78 - 1Zxx Chesterfield - Carlisle, to Carnforth "Merrymaker" (via Sheffield, Barnsley & Settle Jn - 84003 fwd) In Memory of the Deltics: 55003 section. 23/07/78 - 1Zxx Chesterfield - Carlisle, to Carnforth "Merrymaker" (via Sheffield, Barnsley & Settle Jn - 84003 fwd) Profile of the Deltics: Plate 145. 23/07/78 - 1Zxx Chesterfield - Carlisle, to Carnforth "Merrymaker" (via Sheffield, Barnsley & Settle Jn - 84003 fwd) Tribute to the Deltics: Page 42. 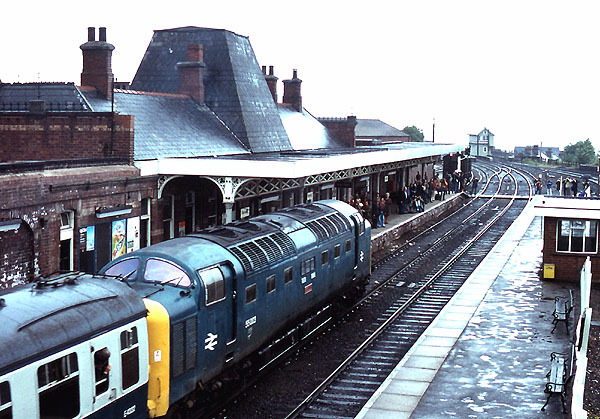 23/07/78 - 1Zxx Carlisle - Chesterfield (via S&C, Skipton, Barnsley & Sheffield) Deltics at Work: Page 118. 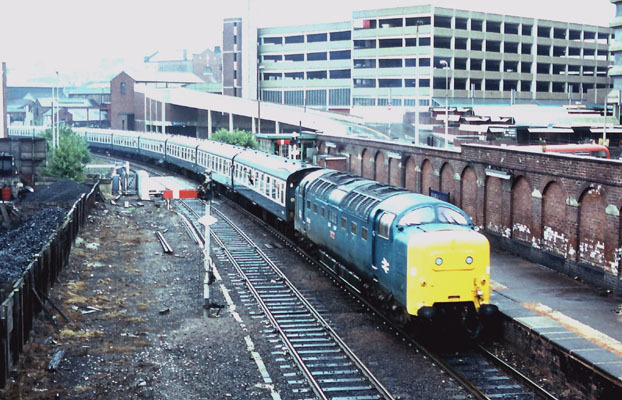 23/07/78 - 1Zxx Carlisle - Chesterfield (via S&C, Skipton, Barnsley & Sheffield) Deltic Locomotives of British Rail: Page 66. 23/07/78 - 1Zxx Carlisle - Chesterfield (via S&C, Skipton, Barnsley & Sheffield) Heyday of the Deltics: Page 53. 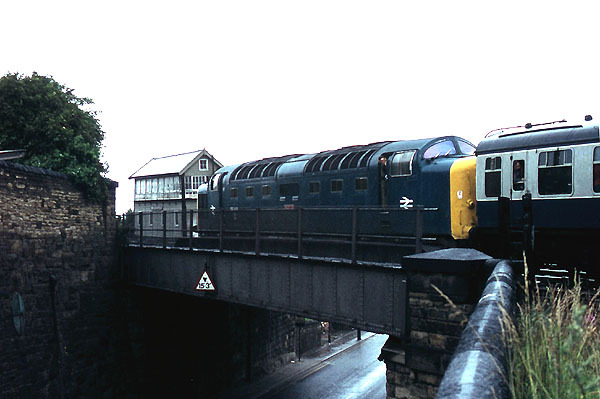 23/07/78 - 1Zxx Carlisle - Chesterfield (via S&C, Skipton, Barnsley & Sheffield) Tribute to the Deltics: Page 43.